I returned this weekend from a few days hiking the Peddars Way and Norfolk Coast Path. I will be writing about that trip in a separate post. On one of my nights, I stayed at one of the YHA Hostels. Despite the difficulties that YHA have had to contend with in recent, and not so recent, years, I still believe they do a fantastic job. Not only providing clean, safe and cheap accommodation, but also providing both kitchen facilities for ‘go-it-alone’ and a cooked meal if wanted for those who prefer to have a meal provided. I have availed myself of both options on many an occasion. I also often request a packed lunch for the following day, either to negate the need for my carrying that meal with me prior or because there are likely to be few opportunities to purchase the makings locally. 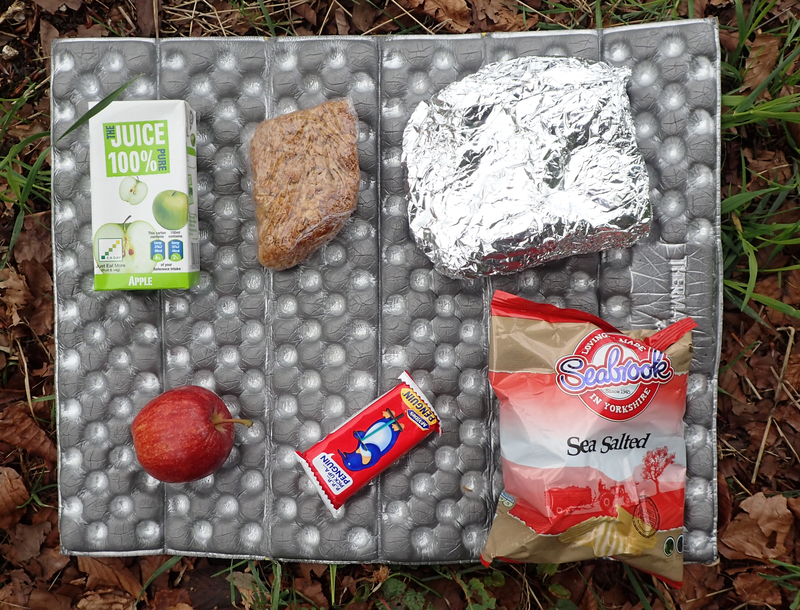 This brief post casts an eye over the type of packed lunch meal I have been provided in recent years. 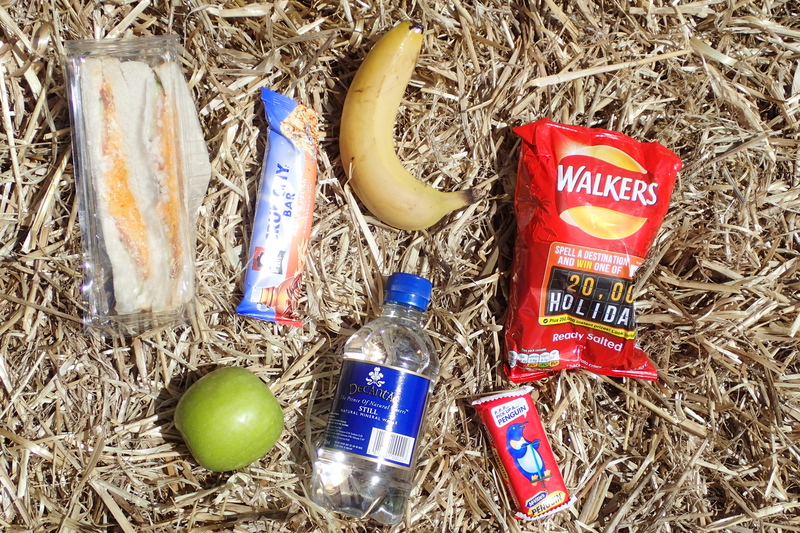 It is only too obvious how uninspiring lunches provided can be. Personally I feel the water is unnecessary, I can fill my own bottle at a hostel tap. Sandwiches are always the same- some type of filling in over-processed white bread, usually with a over-provision of packaging. That from Sherringham YHA in April 2017 followed the standard format. But I was at least given a lunch menu to choose from the day before. It does look as though the advertised ‘Quarter Oats Bar’ went missing though. It would appear that some hostels are more generous with their offering. YHA Streatley-on-Thames packs up two pieces of fruit as well as the errant Oat Bar, though I think they lose a point with the throwaway packaging that the sandwich came in. In fact there is quite a bit of wastage from all the hostels. Lunches cannot have changed much in decades. If anything, they resemble what tens of thousands of mothers packed up for their children to take to school in the 1970s. What sort of lunch can the independent hostels provide? 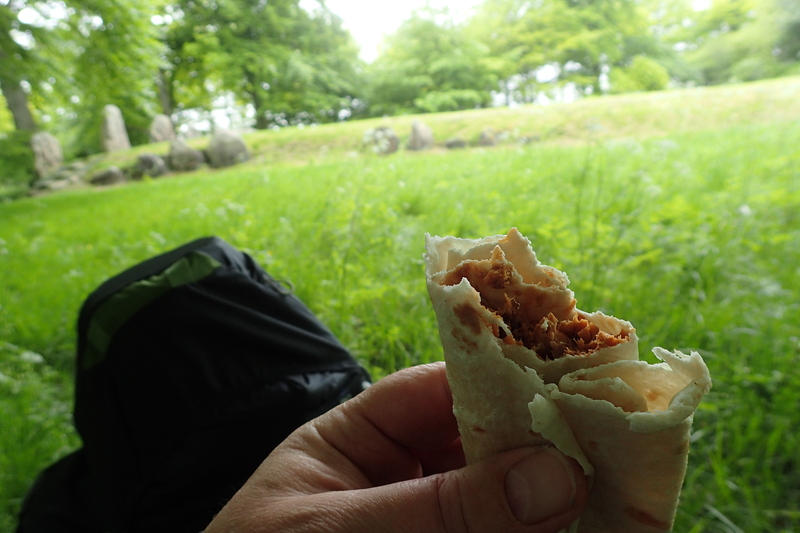 When I camped in the grounds of the Court Hill hostel at Wantage, I used their ‘campers kitchen’ in the evening to prepare my food, but ordered a packed lunch from them to take with me the following day. While it bore a striking resemblance to anything the YHA hostels offer, it also came with a quite delicious, home-cooked, oatey, syrup and butter flapjack type thing. It was incredibly dense and flavoursome. 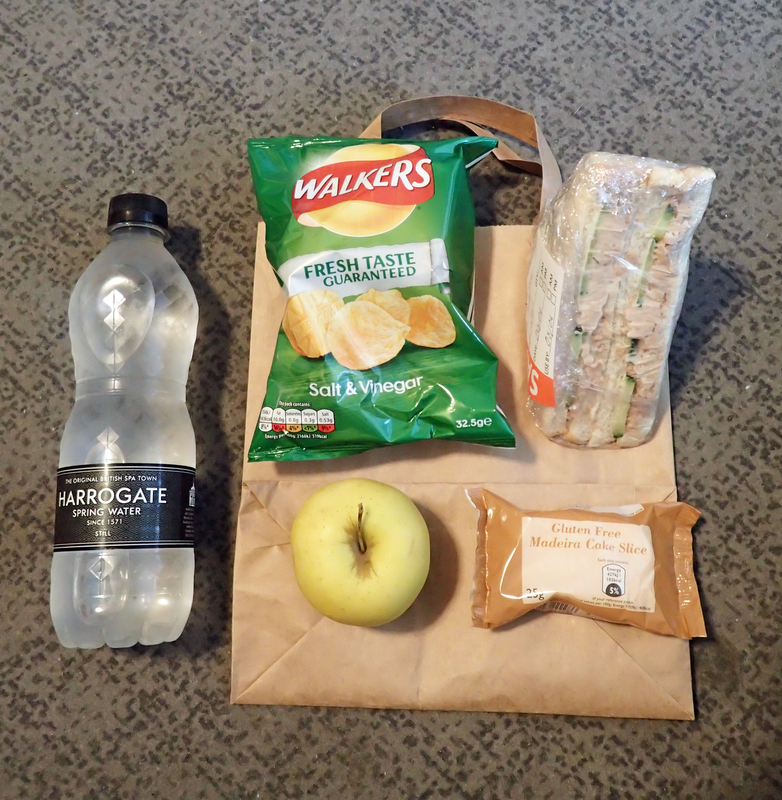 Worth noting is that the cost of my lunch from Court Hill was higher than from the YHA- £6.50 compared to £5. 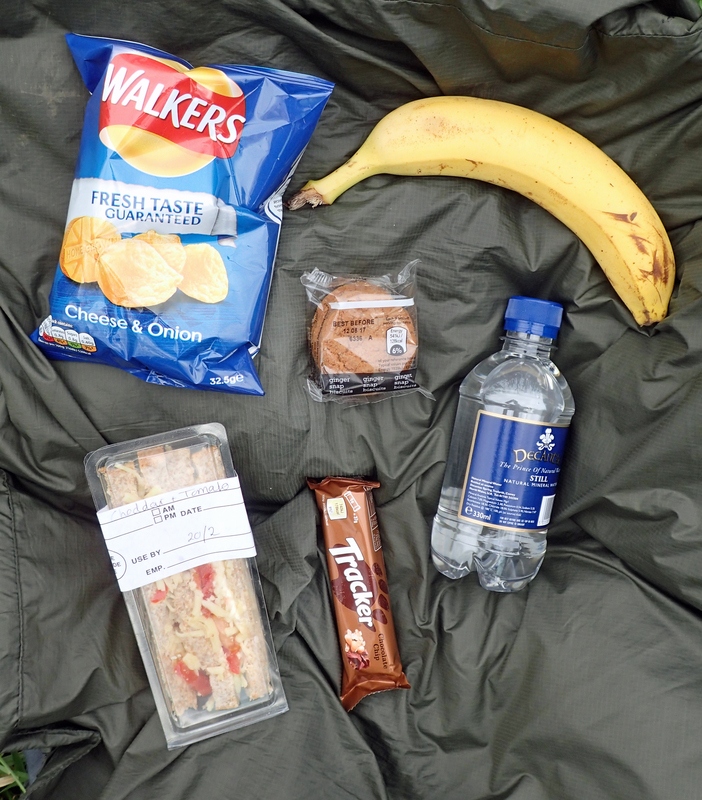 Lunch provided by the Court Hill Centre; an independent hostel in Wantage, Oxfordshire. Despite the additional packaging waste, at least the apple drink was a change from the usual bottle of water. Sandwich was ham and cheese- in white bread, obviously! 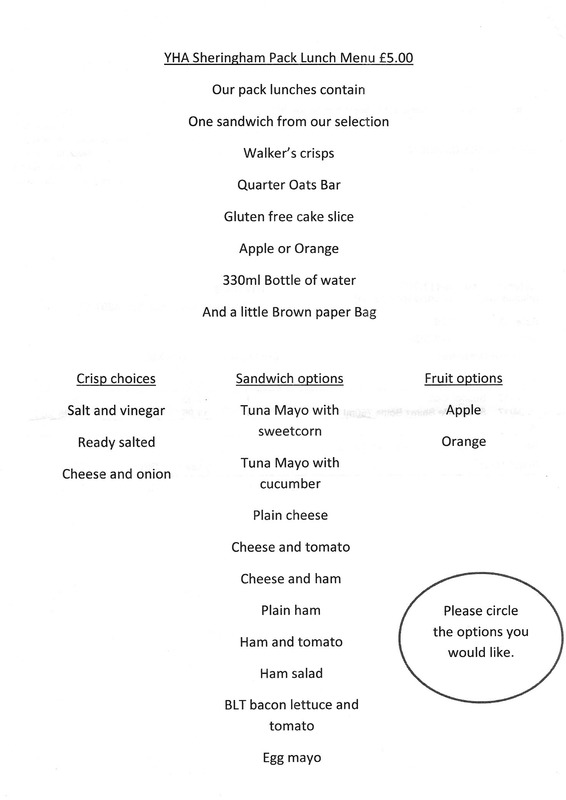 So, given the choice, what sort of lunch does Three Points of the Compass actually prefer? 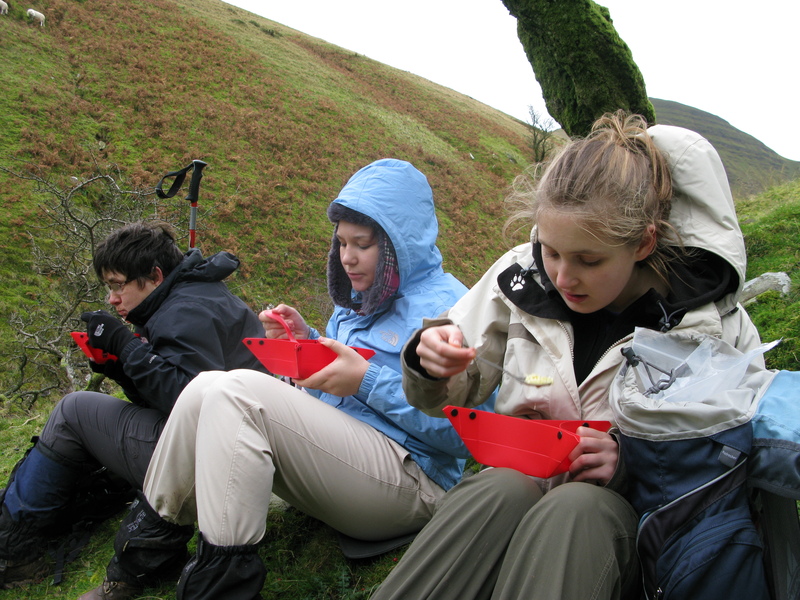 When hiking in the Brecon Beacons in colder months, I ensured that those with me, including two children, had a hot meal for lunch. Not only for a calorific boost, but it does wonders if spirits are flagging. It is seldom that I stop to prepare anything hot. I have done a noodle or pasta dish in colder months but it is a fair bit of faffing around for that and really only an option if time is not of the essence. A lump of cheese and some oat biscuits has sufficed on occasion, but it is a tad uninspiring. 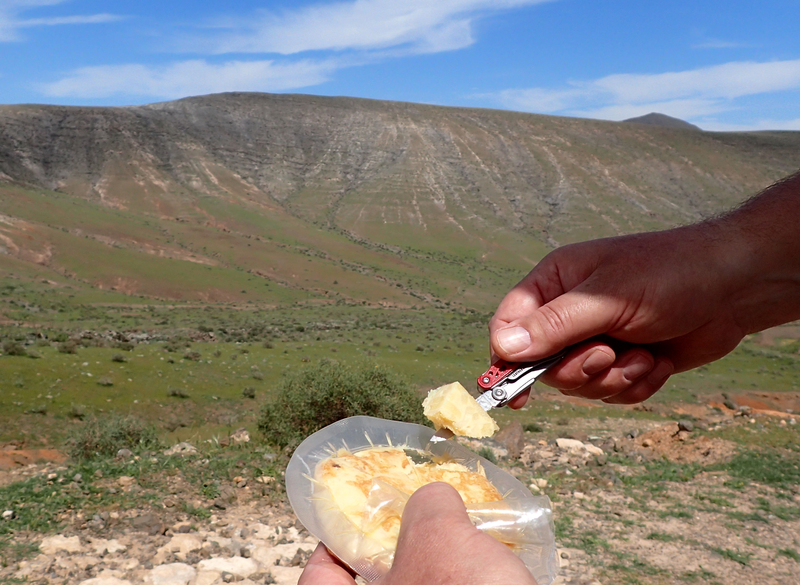 If given the choice though, I do think one of the various fish mixes in pouches work brilliantly, tuna, mackerel or salmon with a flat bread, as below, being eaten on the Ridgeway in 2016. I have written before about these and they remain a favourite. 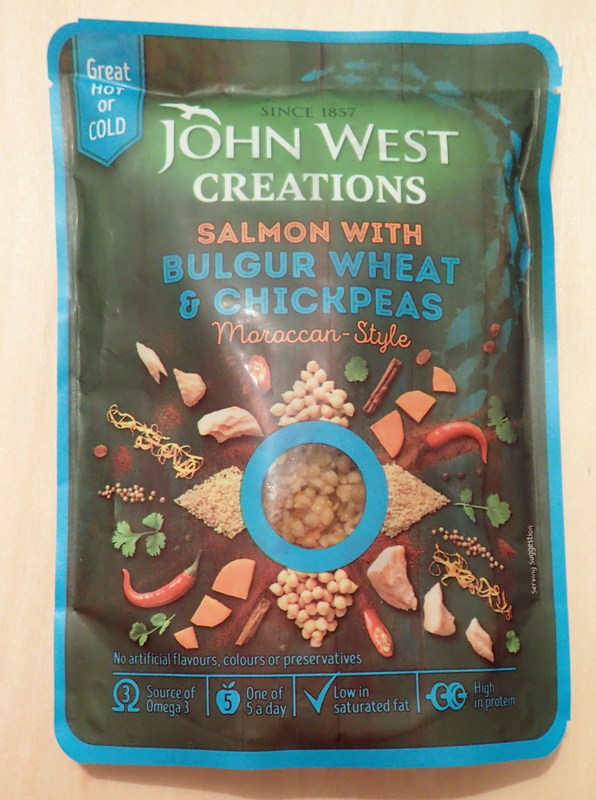 I am not sure how long they have been around, but for last weeks walk, I took a couple of pouches from the John West Creations range. Something like this is never going to work for anyone with a fish intolerance I know, but I am talking about what I like and what works for me. If wished, these new Creations can be simply spooned out of the opened pouch, the addition of carbs such as bulgar wheat, giant couscous, lentils, wild rice or chickpeas goes some way to balancing the meal. For me, these are a success. 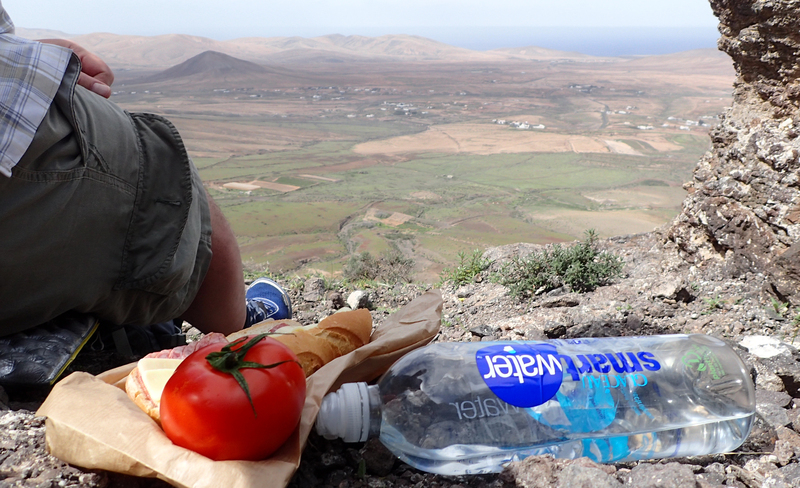 While Mrs Three Points of the Compass and I were hiking in the Canary Islands earlier this year, we would take pre-prepared slices of salami, goats cheese and local tomatoes, and stop in one of the village bakeries to buy bread, cheap and still warm from the oven, which was then stuffed into a day pack until required, less a hunk torn from the end, to be devoured as we walked out of town. In addition, a potato tortilla is very tasty, but a knife and zip lock are required for this option. This entry was posted in Uncategorized on April 9, 2017 by Jools. A sign situated just a few miles from the end of one trail, quietly celebrates a new path still in the making. The 47 mile long Norfolk Coast Path is part of a National Trail: The Peddars Way and Norfolk Coast Path. The complete 92 mile long trail runs northward from the Norfolk/Suffolk border near Thetford, to the Norfolk coast just east of Hunstanton, it then turns right and heads along the coast to Cromer pier. The path was officially opened in 1986 by HRH The Prince of Wales and the area is remarkable in being both popular with tourists, yet also offering lonely and wide open spaces. The route crosses through and past shingle ridges, sandflats and shifting dunes, marshland, grazing land and agriculture, saltings and pine woodlands, neolithic sites rub shoulders with Roman forts. Fishing ports still provide employment and caravan parks sit on the edge of crumbling cliffs. 22 miles of coast-land from Holme to Weybourne is designated a Site of Special Scientific Interest, is recognised as a wetland of International Importance, a UNESCO Biosphere reserve and an EU Special Protection Area and a Special Area of Conservation. This sign indicates that the Norfolk Coast Path is being extended and is now part of the England Coast Path. The creation of an England Coastal Path was first mooted in 2007 however the development of this path has dragged on, for one reason or another, but probably mostly due to government apathy and disinterest. Commitment was eventually made that it would be completed by 2020. Quite a tight timetable considering how much has been achieved to date. 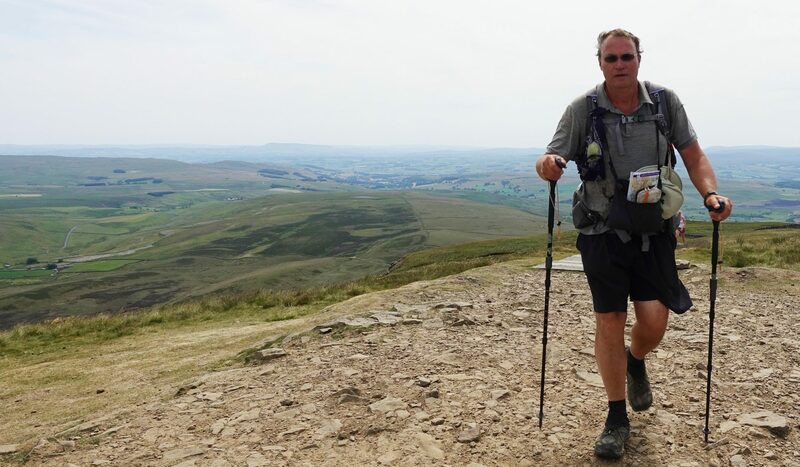 When finished, the 2795 mile long trail will follow the entire coast of England and will be the longest managed and waymarked coastal path in the world. This entry was posted in Uncategorized and tagged navigation, path, route, sign on April 8, 2017 by Jools.